A recent survey conducted by online marketers and other experts in the field of digital marketing revealed that high quality and attractive images of product photos are one of the top influencing factors that affect the purchase decision of approximately fifty percent of online shoppers. In addition to that, most internet users also prefer to see at least three shots of the products that is on offer, and that too, from different angles. So, businesses who wish to lure in more customers to their offerings and the ones who wish to build a strong online presence should certainly post highly attractive product images on their online stores or business website, as well as on social media platforms. The best thing about attractive product images is that they have the unique ability to capture the attention of online shoppers. In fact, these appealing product images may even urge them to buy your products. However, most of the digitally captured product images, even the ones that are captured by experienced photographers, might contain a few issues like distracting elements in the background and unappealing backgrounds. In addition, the color saturation and contrast of some image might not seem that attractive. In such scenarios, most businesses seek the help of an expert photo clipping service provider to edit their product images. Expert photo editors will use high-end photo editing tools and software applications that will help them to bring the desired results to your image with ease. Moreover, they will bring a professional touch to your ordinary digital images and make them look a lot appealing to viewers, which will in turn make the images suitable for use in marketing and advertising campaigns. In some cases, the background of your product images may seem a little bit odd or unappealing. If that is the case, then you should reach out to a professional background removal service. 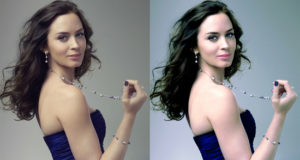 The photo editors here will remove the unappealing background of your image and replace it will a new one. This will surely improve the appeal of your entire image. The background of most product images is white, and it is true that products with white backgrounds do look amazing. However, white product backgrounds have become quite common these days. This has urged several businessmen to change the white background of their product images. Some of the best white background alternatives that will make your product images a lot more attractive to viewers are the following. Neutral backgrounds are a safe option when it comes to product images. Beige, gray, off-white, and other neutral backgrounds have the unique ability to improve the overall appeal of your ordinary product images. In addition to that, neutral backgrounds do not distract viewers from your product too. Neutral product image backgrounds will also bring a different visual aesthetic to the image, which will urge viewers to check out the products that you are selling. Black background product photography is usually seen in luxury products, cosmetics, alcohol products, and expensive pieces of pieces of jewelry. Photo editors prefer to use black backgrounds for these product images because it offers a sophisticated and elegant look to the product without compromising the overall beauty of the entire digital image. Using a black background for product images will also enable photo editors to produce a dramatic effect. Reflections and shadows will also make your ordinary product image look more appealing to others. Solid color backgrounds are another popular option available to customers who are looking for an alternative to white background product photography. 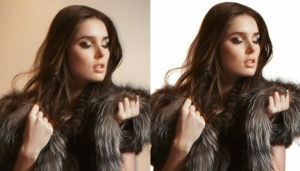 The process of background removal allows photo editors to replace the old background of your image with a new solid colored background. Solid colored background will bring a fresh and attractive look to your image, and highlight your product properly as well. Solid colored product backgrounds with bright color hues also add a liveliness and playfulness to product images. Wood backgrounds are a creative and appealing choice of product images. Table, tree stump, bench, table, and other wooden backgrounds do bring a homey and rustic feel to your product images and encourage viewers to check them out. Different types of wood colored background choices are available to you, but it is best to do your research, as it will help you to find the right wood background that suits your product image. Photo editors often use tiles as the background of their product images in order to accomplish a number of effects. Tiles are available in a wide variety of textures, sizes, and colors, which means that photo editors will be able to experiment and creative when they are using tiles as the background of product images. White colored tiles are used to improve the brightness of the image, whereas back colored tiles are used to add a bit more elegance to it. Aside from that, natural tiles are also used as backgrounds because they offer a natural and earthy appeal to the photos.